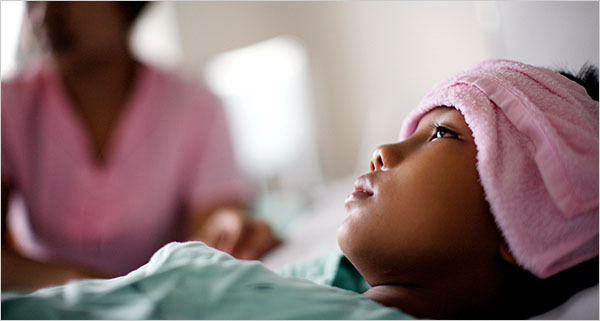 How often do you come across people suffering from Dengue? Last couple of months we have come across several cases of Dengue across several Indian cities. I myself came across many cases around me recently and that led me to pen down a little piece of Information that can help you prevent and recover from Dengue. Most of us are unaware of what Dengue is except for the fact that it is associated with fever. The name Dengue originated from the Swahili word for “bone-breaking fever” or the word for “the walk of a Dandie” in Spanish. Dengue virus belongs to family Flaviviridae, having four serotypes that are transmitted by mosquitoes of Aedes aegypti species. In recent years, the spread of unplanned urbanization, with associated substandard housing, overcrowding and deterioration in water, sewage and waste management systems, has created ideal conditions for increased transmission of the dengue virus in tropical urban centers. As estimated by the World Health Organization (WHO) approximately 50 to 100 million infections of Dengue to be seen each year worldwide. It causes a wide spectrum of illness from mild asymptomatic illness to severe fatal dengue haemorrhagic fever/dengue shock syndrome. Symptoms, which usually begin four to six days after infection and last for up to 10 days, may include sudden high fever, severe headaches, severe joint and muscle pain, fatigue, nausea, vomiting, skin rash, mild bleeding ( such as bleeding nose, gums), blood pressure drops down as the circulation of blood in the vessels is also affected. A decrease in the platelet count is also observed after 3 days of the starting of the fever. In the case of having severe infection, viral reproduction rate gets increased and the vital organs like bone marrow and liver are affected. It is rightly said that “PREVENTION IS BETTER THAN CURE”!! 1) Stay away from heavily populated residential areas, if possible. 2) Use mosquito repellents, vaporizing mats, mosquito coils. 3) Wear appropriate clothing: Minimize areas of exposed skin by wearing long-sleeved shirts and long pants tucked into socks. 4) Use bed nets during sleeping and tuck them properly under the mattress. 5) Make sure window and door screens are secure and free of holes. 6) Eliminating or avoiding stagnant, standing water where the mosquitoes can reproduce are some of the effective strategies to prevent it. 7) Maintain proper Hygiene and Sanitation. This viral disease being self-limited, adequate hydration and pain control can help the person through the infection. Also in severe variations patients often require hospitalizations and intensive care measures. However, most of the Doctors prefer home remedies for Dengue fever. As such there is no prescribed diet for Dengue, but one can follow the mentioned home remedies for quick recovery along with the alleviation of the symptoms. 1) Water: This is of utmost important as extreme dehydration is very prominent in Dengue. Water can heal symptoms like headache, muscle cramps and furthermore help to eliminate toxins from the body. 2) Papaya leaf juice: They have an ability to increase the platelets in bone marrow. Here is the way to use them: Wash the leaves, take out the center vein and crush leaves in a grinder with adding little bit of water and consume every 6 hours daily. 3) Neem leaves: Steeping the leaves and drinking its Brew helps to increase the platelet and WBC count thereby improving the body’s immunity. 4) Taking 2-3 spoons of carrot juice having mixed with beetroot juice twice a day helps to boost up the count of platelet count very soon. 5) Omega 3 rich foods like walnuts, flaxseeds, fish boost your immune system. 6) Fresh Fruits and Veggies typically orange juice , amla juice, and grapefruit can promote the antibody production, release the toxins, stimulates cellular repair because of Vitamin C content. 7) Chewing two cloves of garlic or drinking hot garlic vegetable soup can decrease the multiplication of viruses. 8) Eating a well balanced diet with majorly focusing on green leafy veggies can ward off the infection. 10) Most importantly REST. The more your rest, the better the production of platelets. 11) Since it is an Infection, have cooked vegetables instead of raw. First and foremost, stay away from unhealthy food like refined sugars, junk food and processed food. Having these foods can cause drop in platelet count. Secondly, try to avoid the food which is oily, spicy and salty. I know it may spoil the taste of your mouth, but lime juice plays the trick here. Thirdly, caffeine and alcohol should be avoided to prevent dehydration. Lastly, avoid meat as it is difficult to digest. So let’s prevent ourselves from Dengue before we catch hold of it! Indeed helpful especially when a mother is completely in havoc about what to do and whom to go for right guidance especially when our society is filled with myths and self proclaimed doctors? This is really a great article written with so much of research ,here all the home remedies and the precaution measures have been shared.